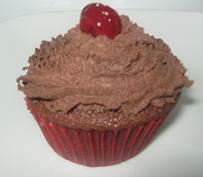 Sign up for Cupcake Corner... and receive a FREE recipe ebook! Cupcake Corner is a free digital newsletter for my cupcake VIPs. Sign up today and receive a FREE recipe ebook of my 15 favorite chocolate cupcake recipes – with my thanks. Why are my cupcakes not rising?????? You followed the recipe exactly and these cupcakes were meant to impress friends and family, or someone special. So, why are they not EXACTLY like the picture? AND!.... AND!....you have committed to bring two dozen of them to the office, school bake sale, church potluck, neighbor play date or whatever it may be, and now you just want to throw them in the trash and head to the bakery. Been there? Done that? Let me help you. My love of cupcakes drove me for years to learn how to bake these tasty morsels to near perfection. Sign up for my FREE monthly newsletter and I will have people asking you for your recipe and baking tips. I'll email you a newsletter that will be both informative and confidence building. Site updates, new recipes, blog entries and any new brilliant brainstorms on making cupcakes. Inspiration and encouragement that will keep you baking! You CAN bake fantastic cupcakes and create fantastic cupcake craft! Sign up now for Cupcake Corner. Check out our back issues to see what it is all about. Take a peek at the backissues here! After you have filled out this form, you will receive a confirmation e-mail asking you if you really want to receive the Cupcake Corner newsletter. This is for your protection - it ensures it is really you who submitted your address. Only after you confirm your subscription will your name be put on my mailing list. You'll then also receive the exclusive download link for my ‘15 Chocolate Cupcakes’ ebook. Everybody loves cupcakes and we will all be baking them for years to come, so let's bake cupcakes we can be proud of. To your success!